It’s almost the summer of 2016 and I would love for you to take this opportunity to jump in for this Productivity Challenge 2016. Take it at your own pace and ask me anything in the comments section. Connect with others also in the Challenge, and come back every day or two to move forward with the 30 days of challenges. This works! It’s that time of year again! Yes, I’m back for the sixth year with my Productivity Challenge, and this time I am anxious to bringing you the very best challenge you can imagine. Whether you are an aspiring online entrepreneur or a seasoned one you will find this year’s productivity challenge 2016 to be both meaningful and a worthwhile use of your time and efforts. This time it will be a 30 day challenge so that you will get the most from it during the next month. Books for sale on Amazon – I have more than a dozen non-fiction books (paperback and Kindle) I have either written or contributed to, as well as one in a different genre that was completely outsourced. All of these books bring me regular income, build my list, and increase my credibility and visibility in the field of online marketing. Information Products – I have more than fifty of these currently and increase them regularly. During this challenge we will discuss how to quickly create products to add to your online inventory. Throughout this 20 Day Productivity Challenge receive a discount on my all new Really Simple Info Products training course. Leave a comment below and I’ll contact you personally with details. Online Training Courses – These are my favorite to create and teach. Because I was a classroom teacher for twenty years I’m always looking for ways to share my knowledge and expertise with others. This year I started my “Really Simple” branding and product/course line and committed to creating eight new online trainings during 2016. YouTube Channel – Be ready for your close up by sharing short (less than five minutes is best) videos on your topic and your lifestyle. 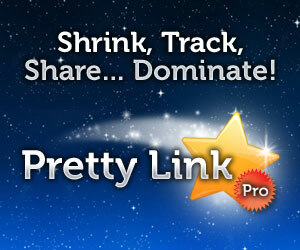 Niche Sites – These are sites on various topics that recommend affiliate products. My Mentor Programs – I offer an Online Marketing Incubator, as well as a Platinum Mastermind Mentor Program. Affiliate Recommendations – I have thousands of links to affiliate offers within the content I publish regularly. Your own affiliate program – I have about two hundred affiliates recommending my products, courses, and events regularly. 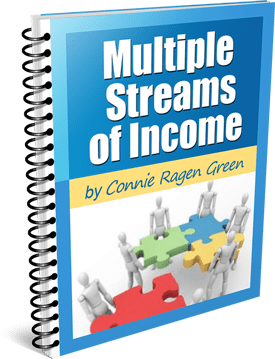 Let me know if you are interested in becoming my affiliate, or take a look at the Connie Ragen Green affiliate site to get started today. Short reports, my two blogs, teleseminars, webinars, press releases, social media profiles, slide presentations, and more – This is content you have available online for your prospects to find, primarily by keyword but also through connections and relationships. This builds your credibility and visibility over time. I’m not including physical products in this list, primarily because the Productivity Challenge 2016 is geared towards digital assets, with the exception of my books that are also available as paperback editions. Commit to increasing your own digital assets exponentially over the next thirty days. Are you surprised by how much or how little is on your list of digital assets? Day 2 – Part 1 of What’s for sale? This is the magic question I ask my students regularly. You must fill your virtual shelves with digital inventory, and you own products, courses, programs, and events will always serve you most effectively. Think about what you currently have available for sale online, and what you would like to offer during the next month, six months, and within a year. How will you get from where you are today to closer to where you would like to be? Who and what do you need to make this possible? 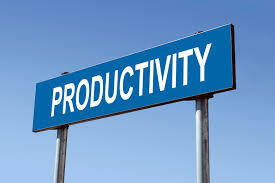 Are you as productive each day as you would like to be? Why or why not? 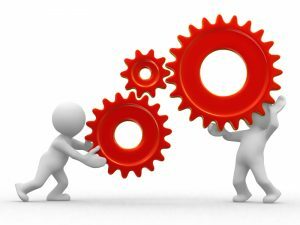 Day 3 – Mentorship – Are you working with a Mentor? I had a mentor during my first year online, and even though we were not the right fit for each other I saw the value in this concept. I went on to work with several mentors over the years, and currently I work with two – one is an online marketing expert and the other is a venture capitalist. What is your position on this topic? Day 4 – Publishing a Book – Writing and publishing a book made all of the difference for me in 2010. Soon I was being offered speaking engagements, more people wanted to join my Mentor programs, and my income took a huge leap. I was being taken more seriously and my credibility and visibility soared. Currently I am writing my fourteenth book, to be titled Doing What It Takes. It will be released during the summer of 2016. I spend one full hour each morning writing, and another fifteen minutes at night working on my outline in preparation for the following morning’s writing. This enables me to write a full length book (about thirty-five thousand words) in four to six weeks, without giving up any of my other activities. 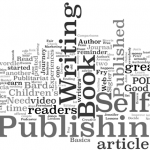 Are you a published author? If so, leave a comment below and tell us where we can find your book(s). Day 5 – Massive Productivity – This 30 Day Productivity Challenge: 2016 is all about becoming more productive and focused on your journey as an online entrepreneur. Experience has taught me that the fastest path to success is by determining your prime time (the hours each day when you are most alert and ready to work) and then protecting those hours as many days a week as possible. My prime time hours are from about six in the morning until about ten or eleven in the morning, and I protect those hours at least four days each week. When I am writing a book or creating a new product or course, I protect that time six days a week until my project in well underway and moving forward in the direction I intended. Doing what I am describing here has allowed me to build an online empire that would not have been possible through any other method. When is your prime time and are you protecting those hours as you build and grow your business? Day 6 – Part 2 of What’s For Sale? If I were ready to purchase everything you have for sale online right now – digital products, courses, programs, coaching, etc. – what would I find from you today? And remember that it only truly counts if it is on a separate domain with a sales page and buy buttons. I have about sixty items available, ranging in price from seven dollars to more than ten thousand. This didn’t happen overnight, but instead in a steady, methodical way based on the marketing strategies I continue to use and improve upon. I use PLR (private label rights) content for many of my products. What questions may I answer for you about this? Day 7 – What’s Your Plan? Are you making plans for the remainder of this year in regards to your business? Goal setting and planning for the week, month, quarter, and year must be a part of your strategy as an online entrepreneur. 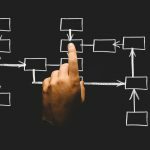 Take some time right now to map out a plan for product creation, your own learning, reading, coaching, affiliate marketing, list building, live events, and anything else that is a part of your business. Share any parts of this you would like to in the comments section. Day 8 – Your Primary Focus(es) – You must have a primary focus to build a successful business, I honestly believe. 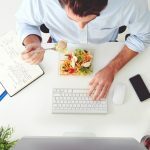 For example, right now my primary focuses are to finish writing my next book – Doing What It Takes – and to continue my Really Simple series of products and courses, one at a time. Every day I spend time working on both of these before I do anything else. This translates to me working on these two projects before I check email, eat breakfast, exercise, speak with my students, send out an email to my list, or anything else. By eight in the morning I have usually accomplished more than I used to by noon or after before I insisted on being massively productive. What is your primary focus right now and how often are you willing to spend time working on it? Day 9 – Blogging – Blogging has been around since right before I came online more than ten years ago. A blog (short for web log) is a website where you are able to speak your mind in writing, get your message out to the world, find your voice, and market yourself and your business. A definition of blogging is: a regularly updated website or web page, typically one run by an individual or small group, that is written in an informal or conversational style. The fact that the search engines love blogs when they are rich with updated and relevant content means that you and I have a platform in which to have an online presence that we own and control. I have maintained two blogs, this one and ConnieRagenGreen.com since coming online and benefit in many ways from both of them. They also host my two podcasts, which is yet another way to build your business as an online entrepreneur. My first book, Huge Profits With a Tiny List: 50 Ways to Use Relationship Marketing to Increase Your Bottom Line, started out as fifty blog posts I repurposed into chapters and sections of that book. When people search for us these days, they typically type our name into Google and look for our blog to learn more about us and what we have to offer. This is beneficial if you take the time to set it up and maintain your content. Make sure you are using “hosted” WordPress as your platform, and not a free one. I highly recommend you sign up with A2 hosting for this so you can get started in the right direction. 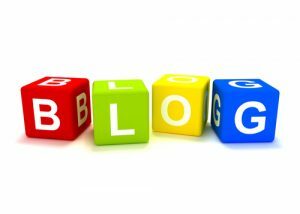 Are you blogging regularly? Leave a comment below with a link to your site so that we may all take a look. Day 10 – Content Creation – Are you creating content in written, audio, and video formats on a regular basis? It’s so important to get your name and voice out to the world so that others think of you as three dimensional, whether they have met you in person or not. I recommend blogging and articles for your written content, teleseminars and podcasts for audio content, and videos and webinars for your video content. I do all of these regularly and am happy to answer your questions, address your challenges, and share my best resources with you so that you may move forward with your business quickly. What are your questions regarding content creation, audio, or video? How are you using these to expand your business exponentially? We are one third of the way through the Productivity Challenge 2016! Hooray! Day 11 – Landing Pages – These are also called optin pages, “shy yes” pages, or squeeze pages. The goal is to target different segments of your target audience with free giveaways that make sense for them. Over the years I have set up about fifty of these, and the results have been nothing short of phenomenal. Do you have these types of pages set up to build your list and expand your audience? What questions do you have for me about this marketing strategy? Day 12 – Networking Online – Connecting with people online is very similar to how we do it online, with one exception; you are able to connect with people a thousand times faster over the internet than in person. Spend time each week in making a list of the people you would like to know better and then reach out to them via email and social media. I started doing this with the people I had purchased from, making sure to tell them what I liked most about their product and course and how I had benefited from it. Then I asked if I could interview them about how they got started as an entrepreneur. Over the past five years these have become podcasts, and I now count as my friends and colleagues some of the smartest people working online today. Are you reaching out to those in your niche who have been online for many years? If not, why not? If so, what do you do after your initial connection to make sure the relationship blossoms? Day 13 – Affiliate Marketing – This was my first business model when I began as an online entrepreneur. It allowed me to observe the entire process of how a product was launched and marketed, as well as how the product creator handled customer service. I thought of it as my “earn while you learn” program. It’s funny now, but in the beginning I thought I would only promote affiliate products and services until I had products of my own. And then as I created my own I was quick to realize that affiliate marketing would always make sense. This income stream currently accounts for about forty percent of my income each year, and I continue to enjoy the process of recommending what I love to those who come to me as their trusted advisor. Are you doing any affiliate marketing as you build your business? 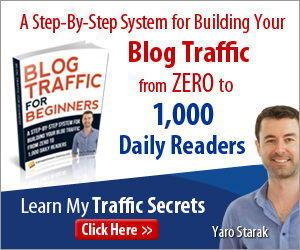 Have you read my popular, bestselling book on this topic or taken my Really Simple Affiliate Marketing training course? Day 14 – Are You a Risk Taker? If you define yourself as an entrepreneur, the notion of taking risks is inherent in that label. The definition of an entrepreneur is a person who organizes and operates a business or businesses, taking on greater than normal financial risks in order to do so. I can remember when I got started investing in real estate when I was in my early twenties. Someone who mentored me with this asked me if I was “risk averse”. I determined right then and there that I would not be reluctant to get involved with a property even if it seemed like a long shot to earn a profit. This enabled me to get involved with deals that others shied away from and to walk away with some hefty profits. When I came online I walked away from a twenty year career as a classroom teacher, and then I cash out my entire retirement account in order to have the money to live while I was building this business. Along with the risk of entrepreneurship comes the great rewards, and taking responsibility for everything that occurs is a part of this. What are your thoughts on risk taking as a part of being an online entrepreneur? What questions may I answer for you along these lines? Day 15 – Perfectionism – Mark Cuban, owner of the Dallas Mavericks professional basketball team, Shark Tank panelist, and entrepreneur extraordinaire says that “perfection is the enemy of the entrepreneur”. I am a recovering perfectionist myself, so I know what it’s like to be paralyzed into inaction for fear of something being less than perfect while on our watch. The way I overcame this so that I could stat and grow my business was to build up my confidence and not care what almost everyone else thought about what I was doing. This freed me up to be creative and to take risks I otherwise would not have taken. Now I see that I limited my success throughout my childhood and into my adult years by attempting to be perfect or not do things at all. 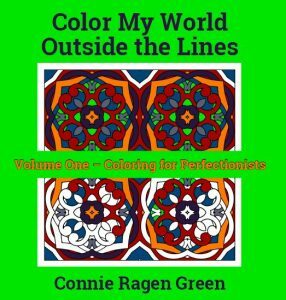 I have recently published a coloring book called Coloring for Perfectionists in an attempt to help others overcome this destructive trait. It’s part of my new Color My World Outside the Lines series. What questions do you have about perfectionism? Is this an area you have had to deal with in your life and/or your business? What do you suggest as a way to overcome it? We are now halfway through Productivity Challenge 2016! Day 16 – Choosing a Niche – As you build your online business you will want to have two niches; one for your Core business and another for experimentation. I started out by helping others write, publish and market their eBooks as my primary, core niche and small dog training as the niche based on something I knew and loved where I could experiment with what I was learning each day. The result was that I developed even more secondary niches and was able to supplement my core niche with the skills I had honed on the sites fewer people would see. I lost myself in these niches without feeling self conscious about what they looked like or if I made mistakes. Additionally, this increased my income over time as I learned how to choose lucrative niches far away from the online marketing space. It helped me to remember that internet marketing is a tiny niche compared to so many others. For my Really Simple Info Products training course I choose yet another niche in which to create a new digital product. This will serve as an example to my students as to what can be achieved online, no matter what your level of experience with online marketing and information product creation. Any niche in which you have some experience or training, as well as a passion or keen interest can be monetized and added as a stream of residual income. Do you have at least one other niche besides the one where you are building your primary, Core business? Have you monetized it? What questions do you have for me in the area of choosing your niche? Day 17 – The way you do anything is the way you do everything. I was first introduced to this concept as a part of a personal development program I went through right before coming online in 2006. After some research I see that it can be traced back to musician Tom Waits in 1999. This turned me into a student of human behavior and someone who observes the interactions between people to find out what they are really about. I will use myself as an example here. In my previous life as a classroom teacher and real estate broker/appraiser I was not willing to do what it takes to rise above the fray. By this I mean that I did what was required and expected of me, but typically no more than that. I could be counted on to finish assignments on time and turn in work that was acceptable, but I did not go above and beyond that level. It is no wonder that I did not achieve the results I was dreaming on in my life or my business; I wasn’t willing to stretch that far. The way I did anything each and every day was the way I was doing everything. Ten years ago my eyes opened up to this and I began my concerted effort to change. These days I look for ways to do things in a more excellent (not perfect) manner and my results continue to pay off in a major way. Observe your own thinking on this, as well as your behavior and the results you are manifesting. What are your thoughts on the topic of “how we do anything is the way we do everything”? Day 18 – Building Your Team – Behind every successful entrepreneur is a team of smart and talented people. Your goal is to find the right people for you and build relationships with them that are win-win. I knew on my first day online I would need help with the technical side of this business, as well as someone to create graphics and other visual objects. Fortunately I met someone almost right away who was excellent at both and we worked together for a couple of years. Over the years I have added mentors, accountability partners, virtual assistants, personal assistants, project managers, a bookkeeper, CPA, and others to my team. Every single person who currently assists me is someone I met in person at a live event or charity function. Even though I work almost exclusively on the internet, the power of the face to face connection cannot be understated. Who is on your team? Who are you looking for to round out your team? How may I assist you with this part of your online business? 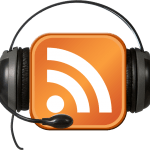 Day 19 – Are You Podcasting? 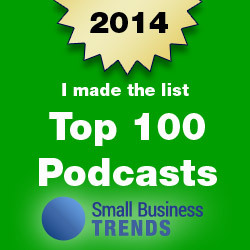 Even though I had been hosting teleseminars regularly since 2007, I did not jump on the podcasting bandwagon until 2011. Now that it’s coming up on five years I’m not sure how I ever lived without utilizing this marketing strategy. I actually have two separate podcasts, one that is an interview series and the other where I teach on topics I have become expert in over the years. Both of these are available on iTunes as free subscriptions, and are hosted on my two main WordPress sites, this one and at ConnieRagenGreen.com. Recently I released a product on how to set up your own podcast quickly and easily called Really Simple Podcasting. No matter what your niche, podcasting makes sense. I have done these recordings from home and from locations all over the world as a way to stay connected with my community and to reach new listeners. If you have a podcast, leave a comment below and tell us where we may find it. If you don’t yet have a podcast, what questions may I answer for you on this topic? NOTE: My friend and colleague Daniel Hall just released his new podcast, Real Fast Results. Be sure to check it out. Also, leaving reviews for this new podcast as well as both of mine are greatly appreciated. This is how you can help others to find us more easily on iTunes. Day 20 – Live Events – Do you plan to attend at least two live marketing events each year? During my first year and a half working online I honestly believed I could not possibly afford to do this. Once I did, everything changed dramatically in my business. Looking back, it would have made sense to borrow the money, put it on a credit card, or even to sell something in order to finance these trips. The cost of events has dropped considerably over the years. I continue to host my Weekend Marketer Live event twice a year and it is less than five hundred dollars to attend. I also pair people up as roommates for additional savings. At live events you will connect with like-minded individuals, learn an incredible amount of useful information, and have the opportunity to spend time with people doing exactly what it is you would like to do as an online entrepreneur. I continue to attend other people’s events, and over the past eight years have spoken at or attended more than eighty events, including more than a dozen of my own. I also host Retreats in Santa Barbara several times each year. Groups of four or five people meet with me over a five day period to work on their businesses in a stress free, gorgeous beach community setting. Which events have you attended? What type of events are you most attracted to? What questions may I answer for you around this topic? Day 21 – List Building, Part 1 – I think of list building as a two part process; the first part involves attracting the right people to your site(e) and persuading them to exchange their email address for your irresistible free giveaway, while the second part is comprised of the relationship you will continue to build upon with them for the time they remain on your list. Both parts are equally valuable, yet each requires a very different series of actions. The look and feel of the site either attracts or repels us. This happens on a subconscious level and is the most powerful force you will experience. It’s that little voice in your head that either whispers “You’ve found exactly what you need to move forward” or shouts “Danger, danger, there’s nothing here for you. Move on quickly and don’t look back!” Yes, it is really this dramatic and worthy of further study to ensure you achieve more of the former than the latter in your online business. The free report or other information you are giving away to those who decide to opt in is a crucial part of this process. It must hit the mark in terms of providing your visitor the information they need to turn them into a prospect. This is no time to cut corners or to hold back on the knowledge you possess around your topic. Give them your best information, keep it concise, and know that by so doing you are setting yourself apart from almost everyone else working online today. If your free giveaway is truly irresistible, your list will grow quickly and steadily. 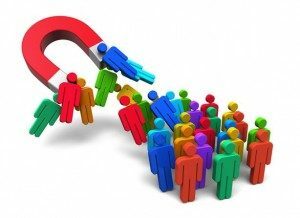 What questions do you have on the topic of attracting the right people to your site and creating a free giveaway that is irresistible? 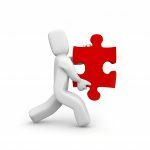 Day 22 – List Building, Part 2 – Relationship Marketing – The second part of the list building process involves the ongoing process of relationship marketing. I became extremely effective with this early on in my career as an online entrepreneur and continue to teach and share my strategies with others. It all begins when someone chooses to opt in to your list. What happens immediately afterward will make or break your reputation and your business. When we opt in to a list we are first taken to a thank you page or a confirmation page, depending upon how we have set it all up. Then our prospect (remember they have gone from visitor to prospect simply by giving us their name and email address) will check their email to download the free giveaway they were promised. Delivering on this promise is a huge obligation and you must be willing to do whatever it takes to make it a positive and smooth experience for them. I cannot emphasize this enough; not delivering on this promise in the most professional way is tantamount to missing a child’s birthday or not returning a call to a dear, long-time friend. It’s unforgivable and will not be tolerated at the beginning of a relationship. Once you have made it through this initial stage of the relationship you now take on the role of trusted advisor on your area of expertise. 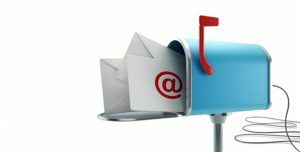 Stay in regular contact through autoresponder and broadcast email messages, include relevant information, thought provoking ideas, and excellent resources (both paid and free) that will enhance your new prospect’s experience and results. Your goal now is to turn them into a client as soon as possible. What questions do you have for me during this part of the list building process? What are your experiences in this area? Day 23 – Become a “Local Celebrity” – It was quite my accident during my first several years working exclusively online that people in my city began to recognize me and know what I was doing in my business. It started when I shared my new business ventures with the people in my Rotary Club and expanded when I discussed it with the other charities and non-profits I was a part of in my community. Soon I was being asked to speak to various groups and it didn’t take long for me to be asked to write a column in a local publication and be a frequent guest on the radio show. You can do the same exact thing, but do it on purpose instead of by accident. Let people know what you do and how you can best serve them with your knowledge and expertise. Accept all speaking engagements, knowing that they would not have asked you if they didn’t feel strongly that you had something valuable to share. And also, send a press release to announce your accomplishments, such as releasing a new product or course, publishing a book, or being nominated for an award. All of what I am sharing with you here will help to catapult you to greater opportunities more quickly than you ever could have imagined. Are you a local celebrity? Please share your thoughts and experiences on this topic with us in the comments below. Day 24 – Public Speaking – I spoke previously about the importance of accepting any and all speaking engagements you are invited to. You may be wondering what you can do if you are not ever asked by others to speak to their groups. The answer is a simple one – host your own events and speak! I have spoken all over the world, and many times I either invited myself or hosted my own events. When Joe Vitale was putting on an event in Austin, Texas in 2013, I called him to ask if I could be one of his featured speakers. He immediately said yes, and then quickly apologized for not thinking of this himself. Remember that hosting your own webinars and teleseminars is also public speaking, and that local groups and organizations like Rotary are always looking for new and interesting speakers. Introduce yourself and then ask for the microphone! 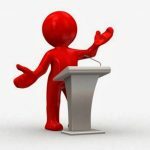 Are you already doing some public speaking? What are your thoughts on this marketing strategy? Day 25 – Emailing Your List – Once you have even one person on your list, begin to get into the habit of sending email messages at least three times each week. This will feel awkward and intrusive at first, but you will soon feel comfortable with staying in touch at this level. Emails sent out in real time are referred to as broadcasts and may be time sensitive in nature. Emails set up in advance to go out on a predetermined schedule are referred to as autoresponders. You will be using both of these in your business. Remember that we train people how to behave with us, so make sure to include at least one clickable link in each email you send. And even though you may be tempted to only share tips, resources, and free items with your prospects they need to know from the first day that you are in business to earn an income. I prefer text emails over HTML because not everyone has HTML enabled on all of their devices. With text emails you can be assured that everyone receiving them will be able to read every word you have written. I continue to use Aweber to send out the majority of my emails. Do you have a list? Are you emailing them regularly to build your relationship with each person on your list? What questions do you have for me on this topic? Day 26 – Short Reports – I started learning about writing, publishing, and marketing short reports from Jimmy D Brown when I was first on the internet and implemented what he taught very quickly. The idea was to include as much information as possible within a thirty or forty page report, and then to either sell or give away the short report to those who were interested in the topic. Soon I began purchasing PLR (private label rights) content that I could repurpose into short reports within a few minutes. These were well written and contained much more information than I would be able to create myself that easily. I also started giving away these reports as a way to promote my own products and courses as well as those of affiliates. You can see the selection of short reports I currently have available for download at no cost over at ConnieRagenGreen.com in the tool bar near the top of the page. 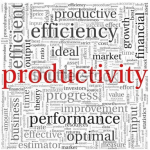 I recommend that you write your own reports in the beginning to get the feel for this model, and then look above at Page 6 of this Productivity Challenge 2016 to connect with the people I go to for PLR. What is your experience with Short Reports? What questions do you have for me on this lucrative business model? Day 27 – Membership Sites – When I was first online there were only two choices when it came to setting up a membership site. Both platforms had price tags in the thousands of dollars, and you had to be very technically inclined or have access to a webmaster in order to maintain your sites. This was out of the question for me at that time, both due to it being cost prohibitive and the fact that my technology skills were limited at best. Fast forward three years, to 2009 and I was in a Mastermind with a couple of very sharp individuals. They were Tracy Childers and Stu McLaren and they had an idea for a WordPress plugin that could turn your site into a membership site with a few mouse clicks. It was actually a little more involved than I am describing here, but it was easy enough for almost anyone to set up and maintain. They called it Wishlist Member and I was in on the ground floor as they launched this to the world. I continue to use Wishlist on more than thirty of my sites. And there are more than a dozen models for using membership site software besides the ones that may come to mind. These include providing you with a secure, protected area to house and deliver content for a product or course, as well as a way to drip out content on your topic to members over a specific period of time or on an ongoing basis. Membership sites can provide you with a recurring income stream that will grow larger over time. Do you have a membership site for your business? What questions do you have about this part of the business model? Day 28 – What’s Your Story? – You can see by now that sharing more about who we are and what we stand for will be beneficial as we build our businesses. 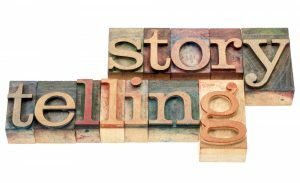 This is referred to as the art of storytelling and can be the reason you create a group of raving fans from the very beginning or fall into the habit of blending in with everyone else doing business online. Choose to stand out by sharing your story, and do not be modest. I continue to share my lifestyle with my community, and this includes how I am able to live in two beautiful cities in southern California – Santa Clarita and Santa Barbara – simultaneously, my ongoing world travels, my extended family in Finland, and my experiences with Rotary and other non-profits. Also, I share both my successes and failures, how I struggled with technology and writing when I first came online, and how I had to build up my confidence in order to believe in myself along the way. All of this adds up to my willingness to show vulnerability, imperfection, and just being human. And it gives my community the faith that they can do the same thing in their own way. What’s your story? Share it with us in the comments below. Day 29 – Let’s Get Social – The advent of social media changed everything for people wishing to do business online, but few seem to understand how to do this effectively. If I visit your social media pages, will I even know you are in business? You must let your followers, friends, and connections on social media know who you are, what you do, and how you serve others. This is done strategically over time by sharing a part of yourself in relation to your business. I would encourage you to visit your pages and profiles today to make sure your photo is current, your website is prominent, and you are keeping your comments and postings professional and interesting. This will pay off handsomely over time. Day 30 – Your Own Challenge! – On this final day of the Productivity Challenge 2016 I invite you to start a challenge of your own. What I didn’t tell you back on Day 9 when we talked about blogging was that I started the very first Blogging Challenge in 2008. It started out very slowly, with people leaving comments on my blog post about it and including a link to their most recent post. Over time it picked up steam, and now hundreds of people (these are only the ones I know about) host their own blogging challenges regularly. No matter what type of challenge is of interest to you, jump in and begin! I recommend a seven or fourteen day challenge as your first one. This will allow you to get a feel for challenges so that you can see what is most effective for your niche topic. Be sure to purchase a domain name, as I have done here, to forward to the permalink of your challenge post. And let me know where it is so I may stop by and support your efforts. What questions do you have on this topic and how may I best support you now and in the future? 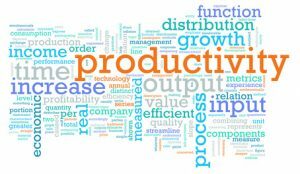 Please join us with Productivity Challenge 2016 by leaving a comment below about anything I’ve discussed so far. This is an ongoing Challenge, so please jump in at any time. NOTE: Did you notice how I have a separate domain (ProductivityChallenge2016.com) for this post? It’s a simple way for me to create a five thousand word free product to use a Special Report in the future. This strategy is effective and profitable! Download a PDF of the entire Productivity Challenge 2016 HERE. Connie, you gave me the kick in the pants I needed. I have 1200+ coloring designs on my hard drive with only 44 on sale on my PLR blog. I confess I’m more interested in creating them than preparing them for sale., then wonder why I’m not making money from them. Hmm – something not quite right there. I definitely have a skimpy list and need to add more digital assets. Looking forward to your new course on creating info products. It was very helpful to make the list and see where I need improvement. Thanks for the challenge to help me get moving! So glad you’re in for the 2016 Productivity Challenge, Shan. Let’s get those coloring pages packaged up and ready to sell! People are waiting for them. 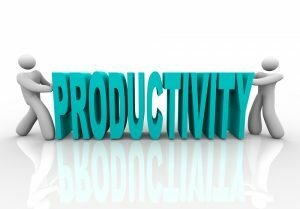 Connie Ragen Green recently posted..Productivity Challenge 2016 – Please Join Us! Kit, so glad your joining us. Yes, we all need to keep creating more digital assets. It’s so worth it over time. I’m excited to be a part of your challenge! I have no real digital assets to speak of, I have no digital products for sale and I have no list. I hope to change this now. I recently purchased Write. Publish. Prosper and I’m enjoying the training. Up to now, I have written for other people and companies as a freelance writer. My goal for 2016 is to create a location independent full time income writing about the things that I want to write about. I have many skills that will serve me well in the digital world. I am a writer, photographer, WordPress web designer and REALTOR®. I also do a bit of graphic design. I’m looking forward to creating the income and lifestyle that will allow my husband and me to travel and do the things we want to do. Thank you for sharing your expertise with us. You are truly an inspiration to me! Hi Connie. Thanks for doing this. Looking forward to playing along. I enjoyed today. My digital assets are my ebooks,, short reports, two niche blogs, and my affiliate recommendations scattered through all kinds of digital content. I’d love to add an online course based on one of my books this year. The mentor question is timely as I just won a mini mentoring session with someone I admire as part of a writing contest I entered. If it goes well I’d love to keep her on for a while! Thanks for the invite to share our books. The comment system isn’t letting me link to mine but you can find them on Amazon. I’m Karen Banes. Connie, I just signed up for your Really Simple Info Products course, and I’d love to join this as well. Thank you for the opportunity. I’m FULL of ideas, but it’s the results part I want to work on! Welcome aboard, Diane! The ideas are up to you, but the results I can most definitely help you with. Stay focused and let me know how I may best serve you. You are off to an excellent start, Karen! We will search for your books on Amazon. Wendy – what impresses me the most is your clarity of vision for what you wish to achieve. I would encourage you to write your first book and continue to take my training courses. Because you have already taken one from me this year you are entitled to a discount coupon for another one. Email me to discuss my recommendations for you. Thank you, Connie, for taking the time to do the challenge again this year. I have a number of products, mainly online courses, but still not getting where I’d like to be with my business. You are most welcome, Carol. So glad you’re aboard this year and ready to move forward. My prime working time is early morning too and I am finding I need to get up an hour earlier to get more done. When my husband wakes our ritual tends to be coffee and sitting on our sun deck. together. This is a priority for us as a couple. When he heads to work I am back to work for 2-4 hours. I do need flexibility as we have so many doctor visits taking place now with his multiple surgeries…2 carpel tunnel and 2 hip surgeries and a host of other appointments. But I am OK with that. I also avoid early webinars and other distractions so I can stay focused on tasks I need to do. Which of your courses, Connie, is the best for learning how to get a sales page up and a course with buy buttons? I have plenty of PLR I need to be using too. My plan for the rest of the year is to blog 2x a week, get active in groups and forums and guest blogging to drive traffic to my site where I provide value and promote affiliate products and build a list, continue with my amazon business and get info products created for my niche sites. Writing a book is part of this mix but first things first. All of this will require more time on my part but I intend to finish the year strong with specific financial goals. Appreciate your productivity challenge that encourages me to be thinking about these things in a strategic fashion. Kit – it sounds like you have your priorities in order for your business and your life. I applaud you for this. Stay focused and productive and your business will take off this year. I don’t know what day this challenge started but I’m reading about it today! As I looked over the first couple days I realize I have 0 (that’s zero!) products for sale at this time with several in the making. Lame. I do not currently have a mentor but am working diligently on several courses from the same coach and I’m moving forward. Also I’m heavily considering your Really Simple Info Products program, but to be honest when I read the bonuses, as exciting as they sound, it felt intimidating. What if I didn’t make enough progress to really benefit from them… that’s why I”m still waffling. When I got to day 6 I hit a huge question mark. you said each product must have a separate domain with a sales page and a buy button to be legit. Can they be on my main website with a link to a sales page? What am I missing here? My website is almost ready to launch. I am creating a podcast and when it’s up I will be able to finish my site. I’m very close to seeing results but it’s taken so long I feel reluctant to get too excited. I’m looking forward to working through this productivity challenge. I hope it will move me along a bit faster. Congratulations on joining the Challenge and being open to sharing your business ideas here. First of all, take a deep breath and know that no one accomplishes everything overnight. Start with getting your blog set up, and then start blogging regularly. 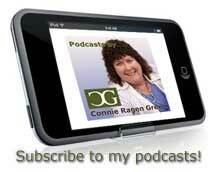 I’m so glad to hear that you will be podcasting, as that will get your message out in a much bigger way. Next, think about a simple product you could create on your niche topic. That one product will have its own domain and you will learn firsthand how the process works. I would love to have you in my new course! Don’t let the bonuses intimidate you. They are meant to help you maximize your time and efforts as you grow your business. Enjoyed the first session of your Really Simple Info Products Course! Fits perfectly with one of my goals for the rest of the year….get more products and buy buttons out there. 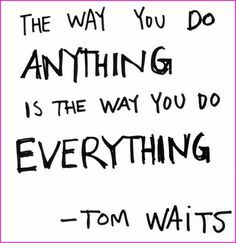 Thanks for the Tom Waits quote. Certainly got me thinking. I think it is true on one level but not necessarily everything. Perhaps it is something worth thinking about to find the areas you aren’t giving your best and are resistant. I find I can be fearless in one area of my life and a total wuss in other areas. So identifying those areas and what is blocking me helps me move forward or choose to eliminate things instead. Thanks for your kind words, Kit. I appreciate your insight and your being a part of my community. It looks like this challenge is ending in a few days, so I wanted to be sure to thank you. By the 11th of June (is that when this ends? ), I should have finished my ebook, “You Can Be an Author,” and be in the middle of setting up the course that goes with it (what fun!) Steep learning curve on the course, but once I know it, I know it. i have three more related but different ebooks/courses in mind that all relate to writing/editing–my “job.” I’d love to have one (or TWO!) of those finished by the last meeting of our Really Simple Info Products course in August. Thanks so much for your comment. This Productivity Challenge is ongoing, so it will not be ending any time soon. I host one every Spring and this is the sixth year. I love your concept of a book and a course on your topic. I’ve done that numerous times as well with great success. I hope you will offer it to affiliates, as I believe my audience would love to be a part of it.